Yes, you can cancel your order and claim the refund but only within specified time period . You cannot cancel the order placed to Activate your account. User can cancel any Job applied by User within specific time period (Depend on Job expiry and mode of Application), Recharge or Reward Gift Orders and cancelled order Amount will be transferred to your SRPK Card Wallet for future use. Once Job has been applied by SRPK on your behalf with status APPLIED then you have no right to claim any Refund. Recharge SRPK Card Wallet: Rechargeable Amount in SRPK Card Wallet is 100% Refundable Amount, You can claim refund anytime or withdraw the cash upon request. Amount used to apply the Job will not refund, Only Current Balance amount of your Card Wallet is refundable. Card Wallet is just used to apply the Job in easy manners, No need to Use or Pay by Debit/Credit Card or DD or Cheques again and again. NOTE: There is no expiry date of this Wallet Cash but Account Activation have expiry date. Trial Balance: User cannot withdraw Trial Balance as it is just an offer for his/her convenience. User can not use this Trial Balance to apply the Govt. 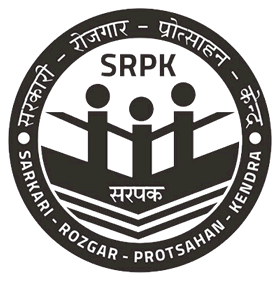 Jobs through SRPK Card. 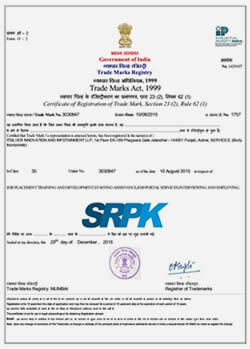 It helps user to learn the SRPK Job Applying process. User get own Trial Balance immediately after activation which will be used to apply the Government Job without paying for any DD, Post or Government fees. CASHBACK: User has to pay Activation Fee once to ACTIVATE the account and the 100% amount (Total Amount minus Trial Balance) will be added back to his/her SRPK Account immediately as a Cashback after activation, user will be able to use this Cashback in future to get Rebate on Convenience Fee while applying Government Jobs on SRPK. Cashback is not a refund it works as Discount/Rebate for applying jobs in future.